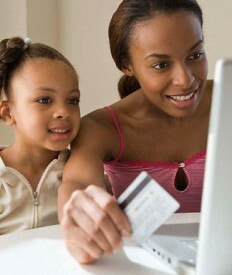 According to eMarketer, shoppers are expected to spend 14.2% more shopping online in 2010 than in 2009. Are you part of the trend? Should you care if you aren’t? Shopping online has much more to offer than an expanded selection. You may not have thought about how much gas you spend driving to multiple stores or the impulse buys that creep into your cart. Before you dive in head first, consider these hidden benefits to shopping online versus shopping at bricks and mortar stores. Wish Lists Eliminate Guesswork: Many of us have had it with giving (and, if we’re honest, getting) bad gifts. We’re pretty confident that Uncle Alfred doesn’t want another necktie, but we inevitably buy one for him anyway. Most sites know that we’re frustrated with guessing how to buy for someone and put wish lists directly on their sites. Feel weird about telling people what you want? List Ideas, Kaboodle, and Boxed Up make it a cinch to make your own lists while shopping for other people. Adding the element of social networking is what makes these sites less random (to avoid the “look at the things I want at Macy’s” note). Think online wish lists take the fun out shopping? Tell it to Uncle Alfred. Increasing Free Shipping Offers: Big Boy Walmart is pulling out all the stops this year with free shipping on everything through December 20. Amazon and Best Buy are ready to compete with dishing out free delivery on “hundreds of thousands” of products. In addition to Walmart’s hugely competitive offer, other smaller stores like Toys R Us and JC Penney are also jumping on the bandwagon. This glorious fight for a buck leads to – drum roll please – lower consumer prices! Let them duke it out and reap the benefits. Zero Impulse Buying: Just how much junk do you walk out of a store with that you didn’t intend to buy? According to WebMD, an astonishing 60% of what we purchase is done spur of the moment. It works like this. Mom wants a new handbag for Christmas. You spot a fabulous jacket en route to accessories (at a fantastic, discounted price, of course) and now you’ve purchased twice as much as you need. It’s much easier to say NO in an electronic shopping bag than when you can finger the tempting merch in hand. Plus, shopping online eliminates the social aspect of buying. That shopping buddy who always finds “great deals” never ends up buying them herself–she goads you on to dish out the dough. Reduced Gas Costs: Consider your holiday shopping experience through the lens of third-grade math. How many times do you head out to buy stuff for your family and friends? Let’s assume you need to go to five different stores. Three are in one general area about 6 miles away and two are at the other end of town, 15 miles from home. The first trip to the closer stores is interrupted after half an hour because your toddler starts to pitch a fit. After the second trip to this same location you finish shopping and then head out to the two stores farther from home. But you can’t find that kitchen thing your sister wants, so you take yet another trip out to the specialty cooking store 18 miles away. Your total mileage spent on shopping (assuming you don’t have to make any other returns or shop more for last minute gifts, which we both know you will) is 90 miles with over 3.5 hours. You get around 18 mpg, so after 5 gallons of gas and the out-to-eat food and drinks, you’ve spent loads of time and stress – and paid an extra $25 for the experience. Group Buying: “Let’s all go in and buy luggage for Mom and Dad!” says the brother who can never remember his checkbook. You end up footing the bill or awkwardly hounding relatives and friends for reimbursement. From Us and other similar group gifting sites eliminate the weirdness. For even larger groups like parents buying for a teacher or coworkers gifting a boss, this is a godsend. Simply set up a gift collection envelope, select merchandise, add recipients and get to it – fee-free! And you can still shop from a huge selection of merchants like Gap, Amazon, Buy.com, and Walmart. National Free Shipping Day: With more than 1,000 merchants participating in National Free Shipping Day, December 17, 2010, you really don’t have an excuse to set foot in a mall. Plus, your package will arrive by Christmas Eve! Luke Knowles, founder of FreeShipping.org and National Free Shipping Day, anticipates record-breaking sales over last year’s astonishing 35,000 transactions. Bulk Buying Made Easy (and Cheap! ): We want to give a generic gift to neighbors, coworkers, and acquaintances, but finding just the right thing for everybody is tough. Checkout bulk buying at Wholesale Mart for generic gifts like mugs, figurines, bath sets, cookware, and garden decor and take advantage of bulk discounts. Enjoy Holiday Time with Family: Just how much of your ’tis the season time is spent in consumer warfare at a mall? Or stressing out over gift budgets? While I can’t remember more than two toys I got for Christmas as a kid, I still have vivid memories of cookie decorating and driving around with Dad looking at Christmas lights. You can’t buy that. So get shopping done in your flannel jammies after the kids go to bed and savor the season engaging meaningfully with them. About the author: This guest post is by Everett Sizemore, who writes about how to save money at Kohls, Macy’s, and other online stores using coupon codes, free shipping specials and other tricks of the online-shopping trade. Love this! Totally agree with point about zero impulse buying. Nonetheless E-tailers and e-commerce stores should gear up for the holidays. I think online shopping is made for seasons like this.